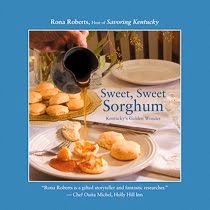 Sweet, Sweet Sorghum: Kentucky's Golden Wonder: Barr Farms Rejoins Kentucky Sorghum Makers–After 70 Years! 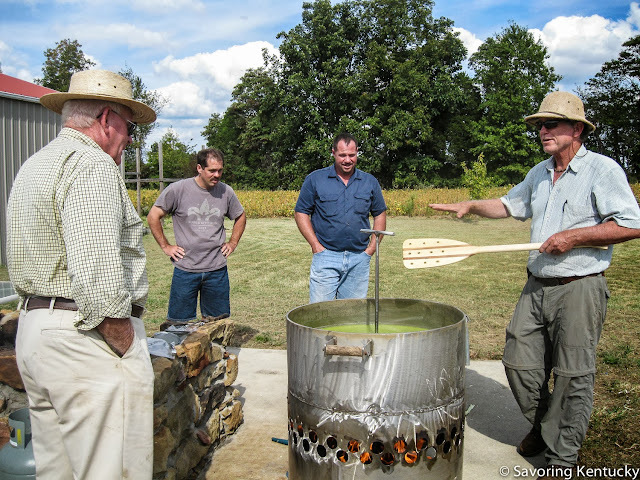 Barr Farms Rejoins Kentucky Sorghum Makers–After 70 Years! When Gary Barr, right, called me, he was on his way from his lawyering life in Lexington to his farming life on his seventh generation family farm near Rhodelia, Kentucky, in Meade County. He said the trip takes two hours and ten minutes. I thought we might take up his entire trip, trading sorghum questions and lore. I met Gary through Lisa Munniksma, Barr Farms' world-traveling super-intern, writer and blogger. One of Lisa's blog projects is Freelance Farmer Chick. Lisa connected me to Gary, and next thing I knew, I was driving that same two hours and ten minutes to Rhodelia, eager to witness the first sorghum-making on the farm in at least 70 years. I enjoyed every part of the experience, including the drive across a part of southern Indiana that was new to me. I wrote about the experience, with many photos, for Savoring Kentucky. And I look forward to next year, when Barr Farms plans to more than triple this first year's sorghum production.